There are also non-essential amino acids is Moringa, including, alanine, arginine, aspartic acid, cysteine, glycine, histidine, serine, proline, tyrosine, and glutamic acid. These components carry out vital activities in our body from wound healing to immune boosting and cancer tumor suppression, to muscle and tissue growth. What’s more, the seeds of the Moringa tree are high in an oil full of oleic acid, a beneficial saturated fat also found in olive oil that is wonderful for cosmetic use and boosting overall health. Ancient Egyptians even put vials of Moringa oil in their tombs. It is a potent antioxidant to use in place of other cooking oils as well. I wish you would have referred a good reliable source to purchae Moringa products! They are all over the Internet …. even eBay …. check it out and get back to me if you don’t have any luck. Thanks for the reminder of all the reasons I chose moringa years ago to add to my Green Smoothies, salad dressings, and Green Rice. There are two other points about moringa which should be said here: it also makes a terrific addition to an essential oil treatment of any kind, and I found this out accidentally when adding to my homemade antibiotic paste using coconut oil and Golden Seal Root Powder. It greatly speeds up any homemade medicine formula you are making such as an eye wash I use for conjunctivitis too. I included it in my topical medicine for reversing multiple skin cancers, in throat gargle, and do I need to say, you must practice as close to sterile conditions when storing and working with it always (as with any powdered plant product). The last thing about moringa is that as a powdered plant product (I buy and make/use dozens of medicine food powders from leaves, mushrooms, berries, barks, flowers, roots), it is always naturally going to be prone to mold growth. To offset this tendency (or more accurately, to slow this process down), I store always in freezer in glass jars, and only keep at room temp, the small amount needed at that time. One technique I use for many medicines is to freeze small supplies in ice cube tray; when frozen, store in labeled/dated double plastic freezer bags. I bring a cube or two up to high room temp in a warm spot and this gives me “fresh” supplies which have very low liklihood of mold growth, anytime, year round. This mold tendency for these powdered superfoods and herb products is a serious issue. Even if we seek out and try to only buy Certified Organic, this labeling system does not address the fact that the processing (harvesting from outdoors, chopping/grinding/bagging/storing/shipping/storing/processingagain/etc. then brought home and stored at room temperatures usually) corrupts the self-preservation system of any plant matter. Certified Organic only reduces the number of chemicals (and hopefully the harmfulness of the chemicals chosen) and this would in fact probably mean an increase in mold-potential if anything, not less potential for mold. Our entire planet is exponentially more mold-prone than it ever was, and this means every corner of our already crowed agriculture-capable space. Candida is a mold. There is a reason why so many people are being forced to address their co-infections in order to regain their health and the #1 common denominator always seems to be Candida and its related co-infections. Taking Mold inside us must be avoided and eliminated and when one begins on this journey back to plants, it often includes making Green Drinks with many times more potentially-mold introducing foods into that drink (including fresh vegetables and fruit – both mold prone), and often we use capsules, teas, etc. which add even more molds. Everyone needs to increase their awareness of this in order to get ahead of their health challenges. A product like moringa, which is grown half a world away, harvested under unknown conditions, stored, shipped, stored, shipped, stored, bought, stored, handled over and over, etc. is going to be a predictable vector for unwanted pathogens. And we know it has no side effects how? We’re always hearing this about things that years later end up having side effects. It’s not something that’s ever really known considering the lead times that may be involved. If you had done any research you would have found that it has been used as a food supplement, as a medicinal potion, a water purifier, cattle fodder, the purest lubricant originally used in fine machinery and for cooking and now in cosmetics. 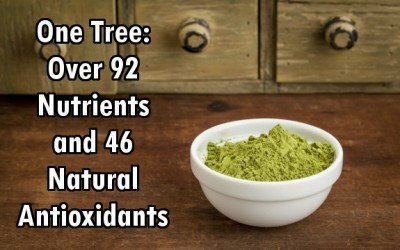 Moringa is the most complete food plant in the world and has been used for centuries in Asia, Middle East, North Africa and the Far East and now in Central American countries. I have been eating it for years and at 82 have no after effects from it. God made organic plants don’t have side effects! ! They just have effects. On other hand, anything synthetic or chemical based, has side effects.